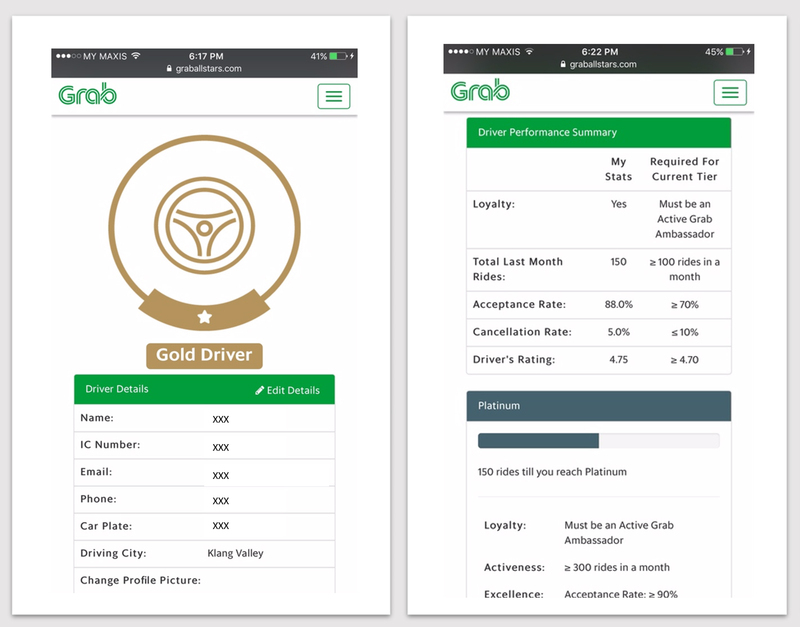 GrabAllStars (https://graballstars.com) is a comprehensive programme that rewards Driver-partners for their loyalty & excellence. Driver-partners can redeem the vouchers and benefits that we offer on a monthly basis. ALL Driver-partners are qualified for this programme unless they have been banned or terminated. To achieve these ‘tiers’, each Driver-partner must fulfill the expected tier requirements. Your performance is reviewed monthly (latest on the 5th of every month) to see if you qualify for the respective tiers. E.g. on 5 August, the status that you see on your profile will be based on your performance from 1-31 July. 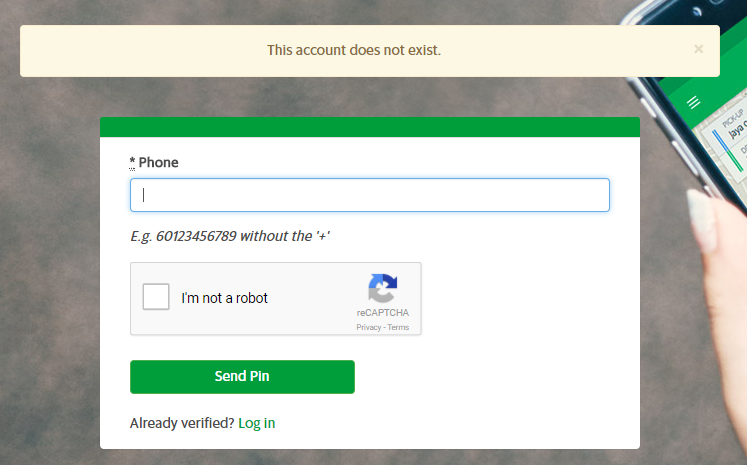 Step 1(a): What if my “Account Does Not Exist”? Driver-partners did not use the Malaysian country code (i.e. you must add a ‘6’ in front of your mobile number – 60123456789, 601123456789,…). New Driver-partners who registered after 1st of the current month will need to wait till 5th of the next month to be able to access their account. 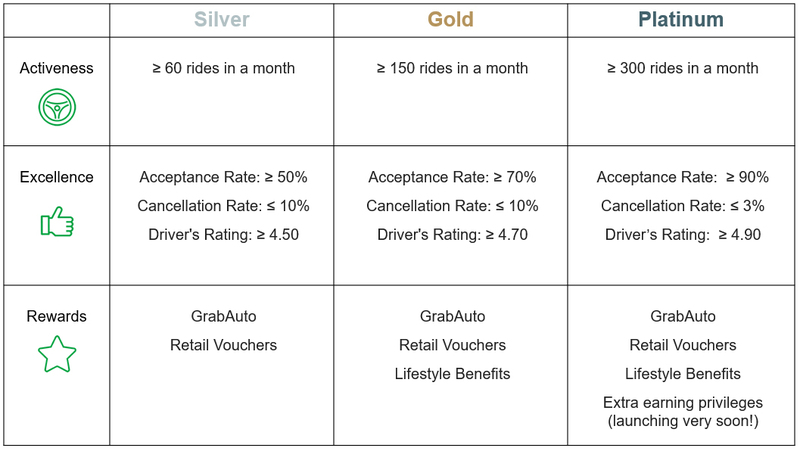 Summary of rides/ ratings that a driver needs to achieve in order to move up to a higher tier. **Please upload a profile picture and fill in your address details for any future mailing purposes. 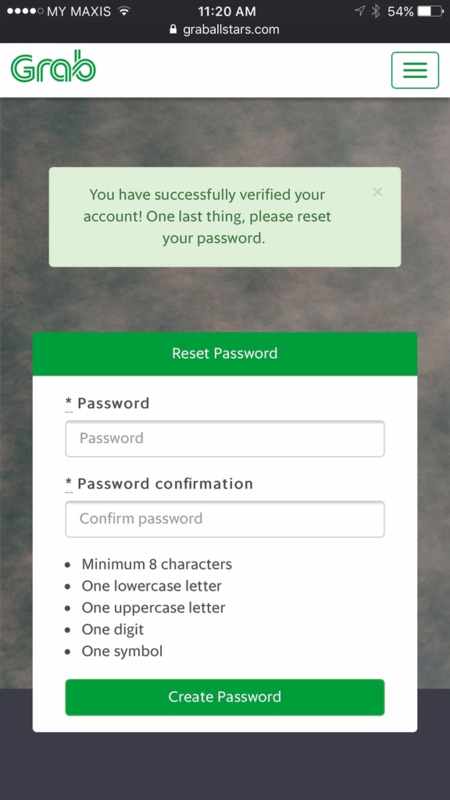 Next time when you want to change your password, you can do it here too. All available Rewards will be listed as above. Driver-partners may click onto each Reward to see what is offered by the partner. If you’re interested to redeem the reward, click on ‘Get Rewards Here’ and you will be redirected to the Redemption Page. 1. Click onto the reward you would like to redeem. 3. All the redeemed vouchers can be found in the ‘Redeemed’ tab. 4. 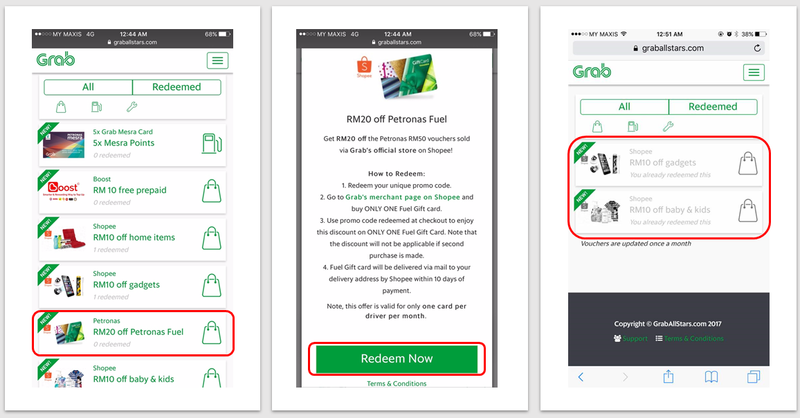 Driver-partners may check for their voucher codes in the ‘Redeemed’ tab at any time. 5. 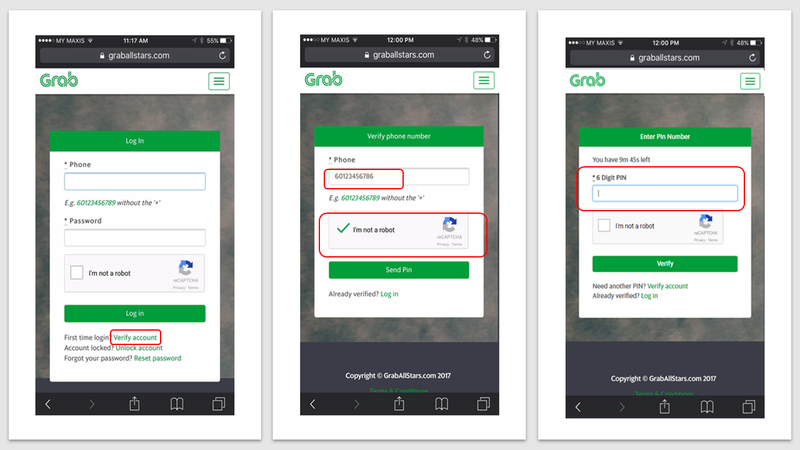 To use it online, do follow the instructions provided for each reward in GrabAllStars website to use the voucher. 6. To use it offline, simply flash the redeemed voucher code at the participating merchants’ outlets. That’s it! 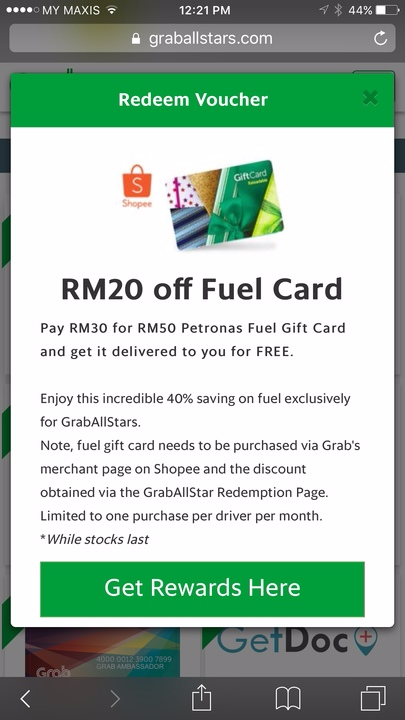 Now, you know how to redeem GrabAllStars Rewards! 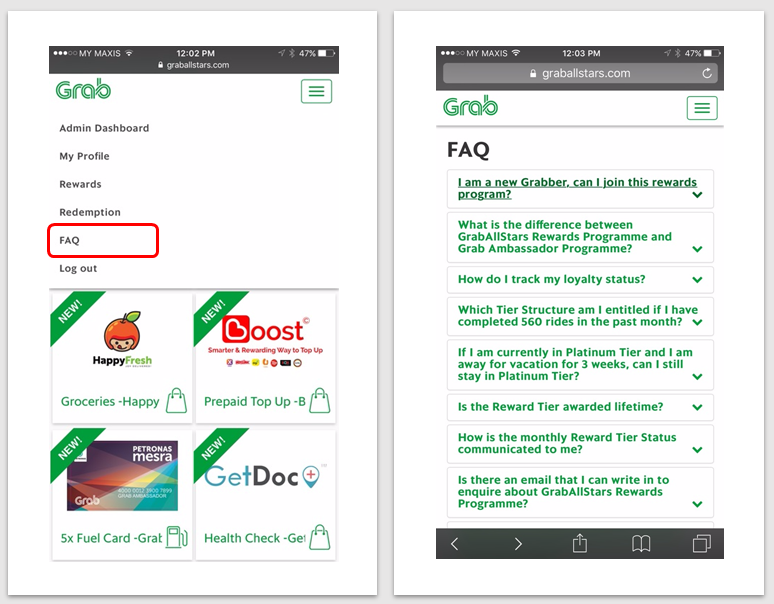 For any inquiries on the GrabAllStars Rewards Programme, please refer to our FAQ section in the GrabAllStars website as shown above.